While swiping a customer’s card a third time and apologizing for his slow software system during checkout, the owner of a liquor store realized it was time to find something to replace the PC based software he bought over a decade ago. He winced at the thought of how expensive this would end up being for him. After all, when he bought his current software, it cost him the neighborhood of $5,000. Surely, anything new would cost more than that today. His excitement started to grow as he listened to the features of this new Clover and the software it has available addressed issues that he has dealt with for years, but could not be solved by his old, outdated software. He was able to get integrated inventory via the Shopventory app that provides detailed inventory tracking and keeps tabs on what is selling, what isn’t selling, and what they are running low on. He also liked the Age Verification app that prompts employees to check customer ID on all sales. Plus, beyond the normal business applications, he got industry specific analytics at his finger tips with the Alcohol Insights app. The app allows him to track top selling products that they may not have in stock, compare their pricing to his competitors, and keep an eye on products that are trending. After the switch, the store started to see an uptick in business. 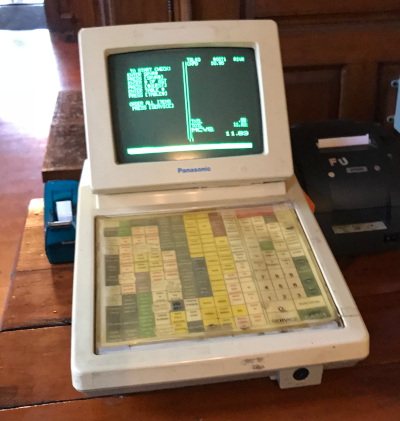 What’s more, the conversations at checkout turned from apologizing for slow service to customers complementing the cool new touch screen software system. When you’re on the FFUSA team you have about 100 years of combined record-setting experience just a phone call away – we’ll help you strategize, target, close deals and get to the point where you have a solid income that takes little time to maintain.